Discover DRE – the Artificial Intelligence Automation Engine That Streamlines Business Processes, Improves Service Quality AND Delivery & Dramatically Reduces Costs! Business process automation (BPA) is quickly becoming a necessity if a company wants to stay competitive in today’s marketplace. 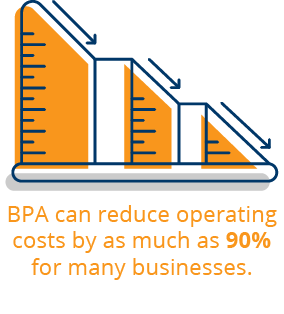 In fact, Forrester reports that BPA can reduce operating costs by as much as 90% for many businesses. Meanwhile, McKinsey reports that about half of all work could be automated. Imagine your staff having double or triple the time they have now! Imagine them being able to work on projects that will actually help your business grow … instead of spending all their time on data entry or trying to drill down and find the real cause of an event storm. You see, our customized artificial intelligence automation engine, which we’ve named DRE, isn’t about replacing workers … it’s about helping workers do their jobs much better and much more efficiently. You’ve likely heard of the “Pareto Principle” – well, DRE allows you to automate 80% of your tech environment so that you and your staff can focus on the 20% that actually produces real business value! Put another way, DRE eliminates human error and takes care of 80% of your business “noise” WITHOUT any necessary human intervention. 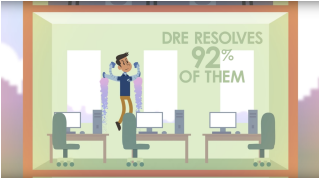 With DRE you’ll be able to get much more done in much less time! Watch Our Videos to See How DRE Unifies Tools, Increases Efficiency & Decreases Spending! Discover how DRE is transforming the world of IT. 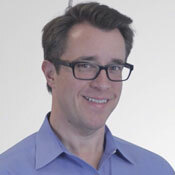 This intelligent, automated solution processes and manages big data like nothing seen before. Watch the video to learn more. Discover the intelligent workflow management engine that resolves repetitive and redundant tasks – giving IT personnel their time (and sanity) back. Watch the video to learn more. 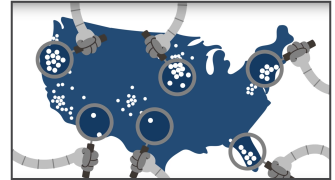 EI Has Been an Innovator in Artificial Intelligence & Machine Learning Since the Early 2000’s! Here’s why that is important – with DRE you get a mature artificial intelligence tool that boasts all the best features without any of the problems that inevitably come with newest, untested versions of a product. We’ve been molding and fine-tuning DRE for years – continually integrating the newest innovations while maintaining ease of use and dependable functionality. In fact, DRE is not only our flagship product but it also serves as the very foundation of our business – allowing us, just like our clients, to operate more efficiently and provide more expansive services for better prices than the competition. For example, our Integrated Services Center (ISC), leverages artificial intelligence and machine learning to provide clients with an automated service desk that contains all the tools needed to ensure a great user experience. Since DRE’s conception, EI has had a total of 2,658,890 (and counting) alerts and has an automation rate of 55 alerts per hour. Alerts are items technicians would normally have to review. That’s right, DRE gives you something that you don’t currently have, something that can prove highly valuable in many other areas of your business. What exactly does that mean? This artificial intelligence automation engine collects data from and about your data. It then stores this metadata and makes it easily accessible to you. You can use this data to learn much more about your business. With this data you’ll be able to improve capacity planning, to improve IT asset management, to better prepare for audits, to improve security and much, much more. Our clients repeatedly tell us that this new information has produced tremendous costs savings for them! And don’t forget DRE learns and benefits from the metadata it collects as well. – saving you and your staff time, money and frustration (which comes from having to deal with repetitive tasks). The ULTIMATE 21st Century Business Tool! DRE is an innovative solution that combines machine learning with customizable self-learning mechanisms that provide endless possibilities for automation. It automates many applications and supports many other platforms. DRE automatically and programmatically responds to alerts that allow engineers within the organization to be more productive and gain back valuable time. This automated solution guarantees no uncertainty in your infrastructure by ensuring that all alerts are checked through machine learning. Repetitive business processes, whether on site or in the cloud, are automated allowing you to get more done in less time and with less staff. DRE automates and solves the 10 most common event-triggering alerts, including: free space errors in the server infrastructure; network connectivity and up/down states; and more. DRE serves as a bridge between tools and departments that were previously unable to communicate effectively … allowing you to get business done much easier. DRE breaks down departmental silos! DRE will learn and grow with your business as it expands. DRE is also capable of analyzing millions of event data per second – and will even trigger action when appropriate. DRE can be programmed using any scripting language or code. Technicians in all areas of the organization can design and develop processes to simplify their redundant tasks. DRE delivers highly accurate business analytics so that you can quickly determine how the business and various departments and teams are performing. This solution revolutionizes the industry, reduces all overhead, cost, and consequently, risk in an organization’s infrastructure. Through artificial intelligence, a company’s monitoring and response systems are protected from catastrophic failure because the engine addresses any issues expediently and accurately. DRE cycles through the workflow and completes the final step in the support process flow by creating a ticket. If the issue is within the designated threshold, it will resolve the ticket. If the issue is outside the designated threshold, it will escalate the ticket to a technician. DRE uses AI and machine learning to provide real-time correlation of information. Also, it categorizes and routes alerts to the right teams and assesses seriousness of risks. To learn much more about DRE and how it can help you automate your business processes, download our whitepaper and case study now. To learn much more about DRE and how it can help you automate your business processes, download our white paper now. 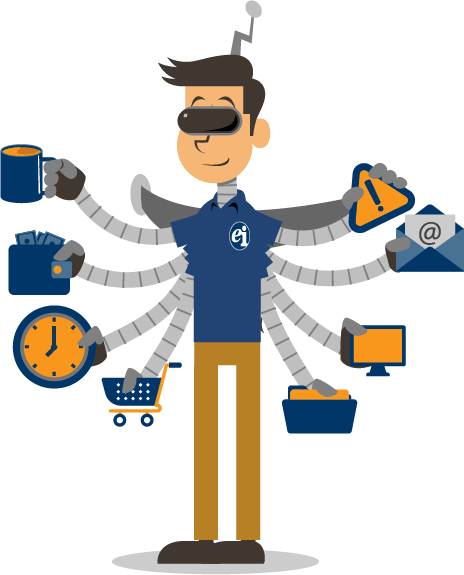 With DRE the Manual Repeatable Tasks That Have Normally Taken Hours Can Be Done Within Seconds! DRE is a predictive analytic tool that takes in vast amounts of information from multiple tools and correlates the data into actionable information. For example, when a switch goes down on a network it normally leads to numerous alerts. DRE recognizes the switch is the main point of failure and suppresses the other alerts leading to a faster time to resolution because technicians don’t need to troubleshoot. This is what business process automation is all about! Get the state-of-the-art artificial intelligence you need to do business better. DRE offers the maturity, the machine learning, the data driven processes you need to take your business to higher levels of success. 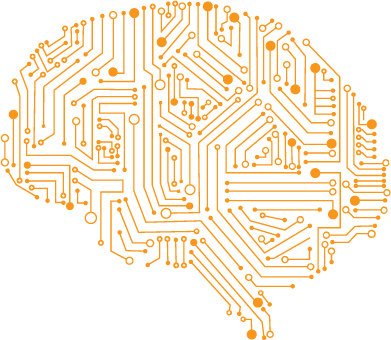 To learn more about EI and our ground-breaking artificial intelligence solution, fill out our form below.